5 Fun Ideas To Spruce Up Your Living Room Interiors! If your home were to be a movie, then the living room would be the opening credits. Its place is at the very forefront of your house, and people often browse for unique and interesting ideas to make it seem cleverly designed and attractive. 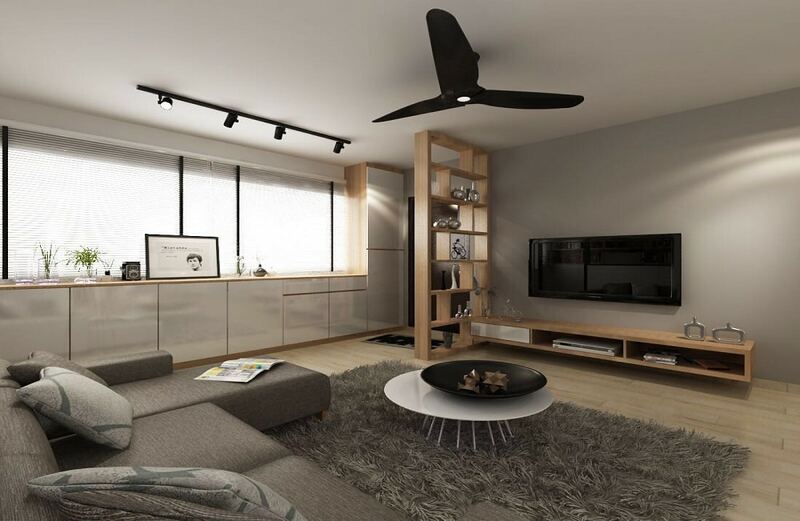 Therefore today, we’ll be featuring 5 fun ideas to spruce up your living room interior designs! Sometimes, a stroke of bold color is all you need to make even the plainest of living rooms look absolutely fun. It doesn’t have to be bright or neon – dull burgundies and maroons can do the trick as well. 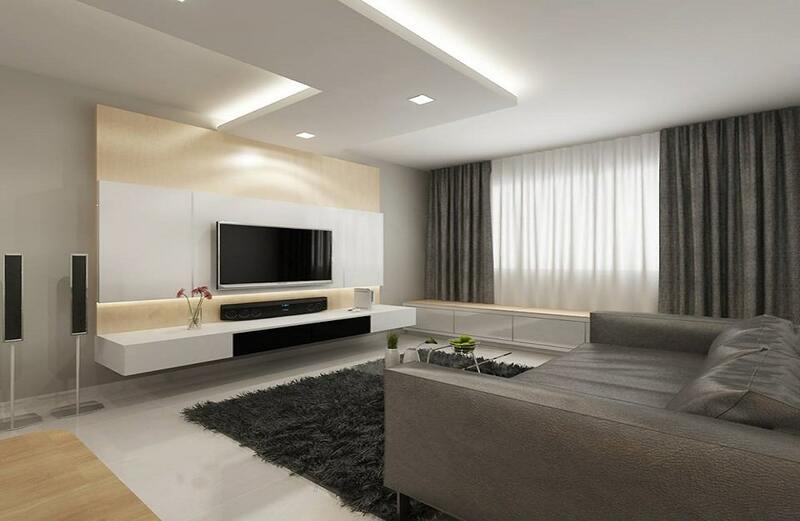 This technique is used to create some visual contrast within the space, so that your interior designs don’t end up looking too boring and monotonous. 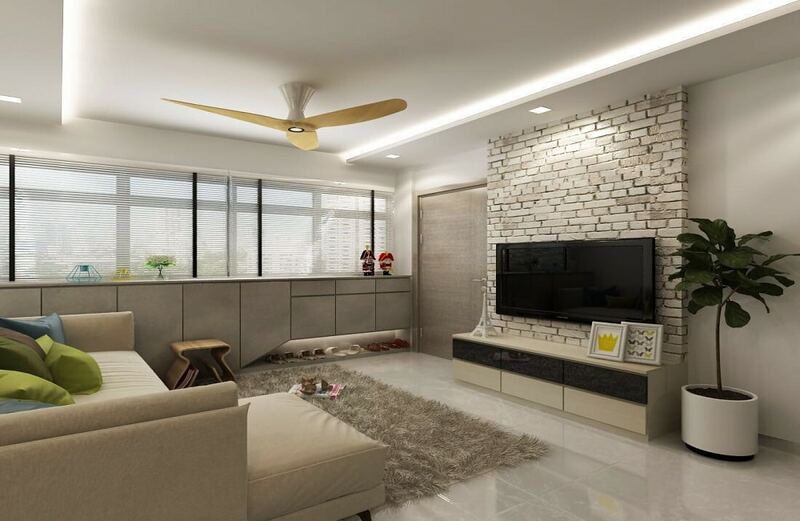 A common HDB living room design mistake is not having a proper beginning or an end. While the start of a living area can easily be marked by the back of your couch or sectional, the end has to be properly demarcated as well. 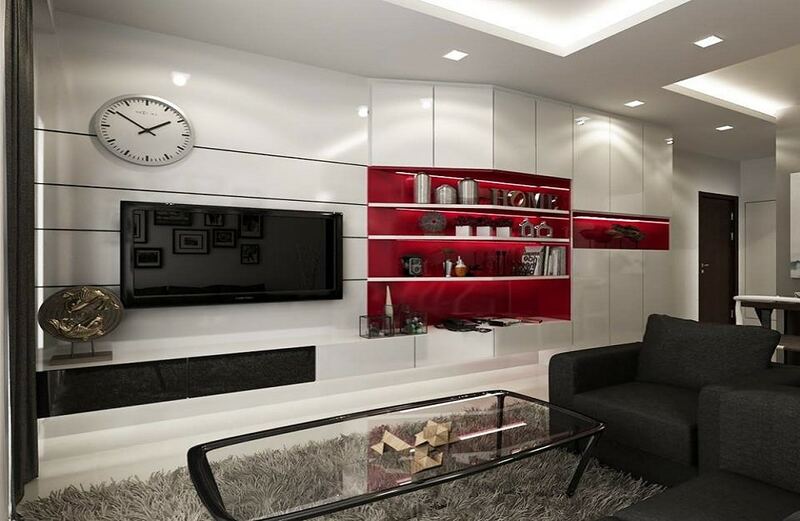 This can be done by designing partition shelves between the circulation space and the open end of your living area. It’s trendy and stylish – you can even customize the shelf design to suit your interior designs style. One of the most important aspects to consider while designing a living room media wall is to respect the position of all your media paraphernalia. This includes the surround sound systems and more. You have to design a media wall that has shelving units designed for these things as well. Otherwise, you’ll have to struggle to fit the wiring and huge media objects when you bring them in. Sometimes, you need a lot of contrast and texture to make a space seem interesting. 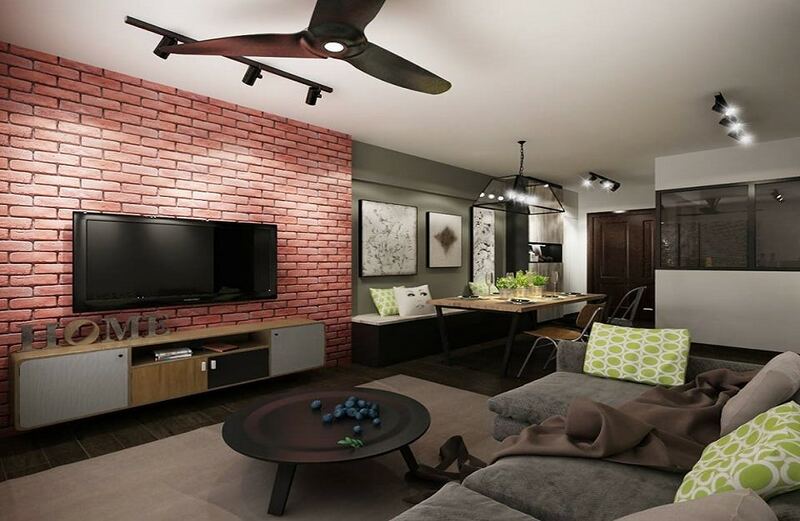 You can add a fun, attractive appeal to your living room interior designs by using lots of contrasting textures like an exposed brick wall, patterned cushions and even trendy artwork hung on a feature wall. Up-to-date window treatments are another aspect to consider while crafting your living room interior designs. Don’t just think about pretty curtains, but consider other options like roman blinds, roller blinds, Venetian blinds and more. 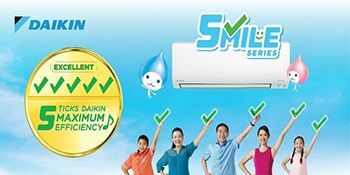 They’re all very stylish and can definitely give your HDB a chic, sophisticated look.